Compliance Coal has asked the community to submit questions that need to be covered in your environmental Assessment. We have decided that we should inform you that the Comox Valley Water Watch Coalition feels strongly that there is insufficient information to proceed with an environmental assessment at all now. 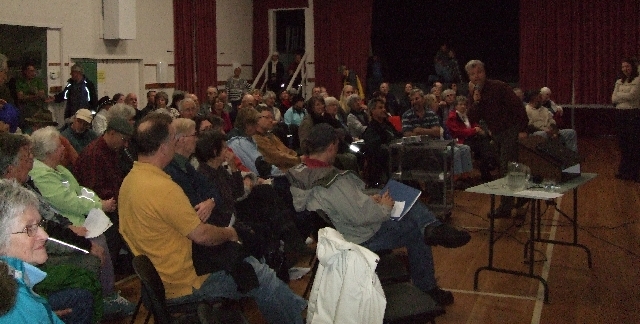 The community meeting in the Fanny Bay Community Hall on Tuesday night was an outstanding, standing room only event. Latecomers were turned away so as not to contravene fire regulations. An overview of the proposed Raven Coal Mine project, and of the environmental process was given by Arthur Caldicott. 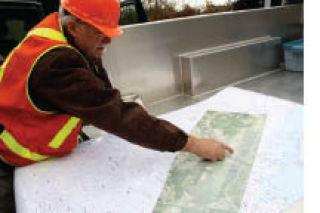 Caila Holbrook reviewed two detailed maps which overlayed aquatic and other important features, on the proposed mining area. David Stapley ably facilitated the meeting. From the Filberg Marsh near Merville all the way south to Rosewall and Coal creeks in Fanny Bay, the Nature Trust of B.C. 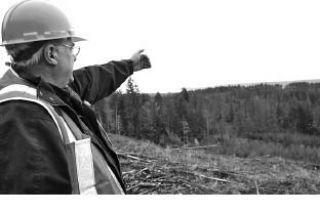 has helped to protect more than 300 hectares of land in the Comox Valley over the last 35 years. On November 11, Compliance Coal Corporation invited the Comox Valley Water Watch Coalition (CVWWC) to join a Community Advisory Group (CAG) it was setting up as part of the company's preliminary work in preparing an application for the BC environmental assessment process. Dan Berkshire, project manager, showing the property before heading out on a tour of the site. COMOX — Thousands of hectares of land at the south end of the Comox Valley are covering a rare find — and Compliance Energy wants to unearth it. Compliance (which, with partners Itochu Corporation and LG International make up Comox Joint Venture) went to the public last week to introduce the proposed Raven Underground Coal Project. 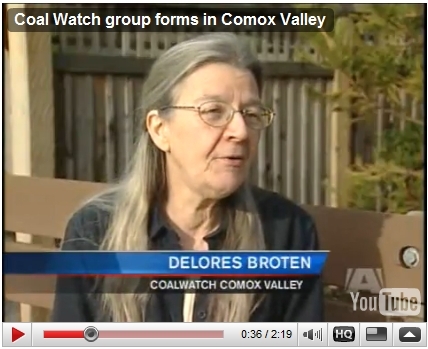 The Comox Valley Record printed a news article on October 29 entitled "Consortium wants to extract coal from Valley". The Record chose NOT to print some of the letters written by local residents critical of the article's uncritical coverage of the proposed mine, and its promotional tone. The coal seam stretching 25 kilometres in the hills between Fanny Bay and Courtenay on Vancouver Island might soon become a component of Korean and Japanese steel. Comox Joint Venture, a partnership between Compliance Coal Corp. of Vancouver and subsidiaries of Japanese import/export company Itochu Corp. and Korean electronics, chemical and telecommunications giant LG, recently held an open house in Fanny Bay. Compliance Energy held its first and possibly only open house on its proposed Raven Coal Mine in Fanny Bay last Wednesday. Robin Mumblo was there. Thousands of hectares of land at the south end of the Comox Valley are covering a rare find — and Compliance Energy wants to unearth it.